At the end of this week, the Kings Hall will see the largest motor show in Ireland, Dubshed (from GTINI), return for the sixth year in a row. Who would have believed that one of the largest Volkswagen enthusiast shows in Europe is now held on our doorstep in Belfast. An astonishing 700 are expected for display at the 2015 show, from across the Volkswagen Audi Group (VAG) stable, and an estimated 10,000 strong crowd to pass through the doors over this two day extravaganza. Long overdue for recognition on RMS, I was excited to discuss the show and how it came about with Gethin Evans, one of the event’s key organisers. AC: There is a tremendous buzz about this year’s show, and it now has an international reputation. How did it all come about? GE: The GTINI club always ran successful events like the Castlewellan show in the summer, and we felt that there was the gap for a larger season opener in March time. We had been at Ultimate Dubs in England and knew how great a season opener it was over there, and hoped that our own type of laid back show, in a more formal setting would work well. Back in January 2010 myself and some of the guys from the club got together, and within 6 weeks we were holding our first show at the Kings Hall. It was a much smaller event than it is now, we started small I guess with 200 cars and one hall, with about 600 people through the door and we were really chuffed. Last year we had 700 cars and over 8,000 peoplel visiting, it’s just got bigger and bigger. GE: VW lost their way with some of their late-90s and early 00 models against the strong popularity of Japanese cars such as the EP3 Civic Type-R or the Focus RS, and the whole drift scene was big then too. Not that there weren’t VW enthusiasts knocking around, just they weren’t mainstream. Then the likes of the Mk5 Gti came out, along with the superb PD and common rail TDI engines and suddenly lots of the civic guys were buying Golfs, Leon’s and S3s. The aftermarket scene is so huge and easily accessible, and the cars themselves more readily available and affordable, I think the popularity exploded. 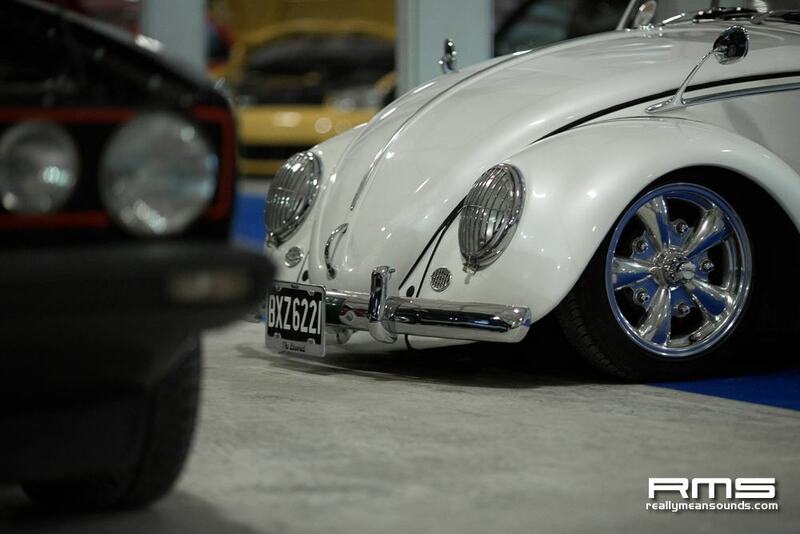 This also brought the old school fans of the MK1s and beetles out of the woodwork to join in as well. That’s the thing about Dubshed, the appeal is so broad there is something for everyone. AC: Moving on to the 2015 Dubshed, what can people expect? GE: Over 700 interesting VAG cars (including Porsche) with everything from show cars to race and drag competition prepped cars, to daily drivers that are just a little bit special. The show is really relaxed and we try to make it as enjoyable for both the exhibitors and public as possible. that’s what GTINI and Dubshed is all about. Even the biggest ‘hater’ will find something they can appreciate and admire. We have a unique online application process which is hugely anticipated each year and as there is so much demand, it can be quite contentious as to who is “in”! This year we have a fun fair, amazing race simulators from ‘Crystal Simulators’, VW heritage who are massive in the world of classic VAG parts, and 40 other trade stands covering everything from clothing to parts to detailing. AC: Dubshed seems to have quite a following from outside NI. How did this come about? GE: We’ve had great online exposure from previous Dubshed events and the standard of cars and variety seems to have generated a lot of interest throughout the UK and Ireland. Last year we had a guy from Cornwall drive up to see us, and in fact we had 65 cars on show from GB last year. We also have a big Scottish following who all come over and treat it as a weekender event. At this point I must mention the superb support we have had from ILoveBass, who have produced the fantastic videos for the events and I have no doubt this has contributed to spreading the word about the show. It’s also not just down to me, we have a whole event management team, and unlike our first event this one took nearly a year to plan! We’ve worked hard to bring the best show possible to Belfast and really hope everyone enjoys it. AC: Thanks for your time Gethin and we wish Dubshed all the best. 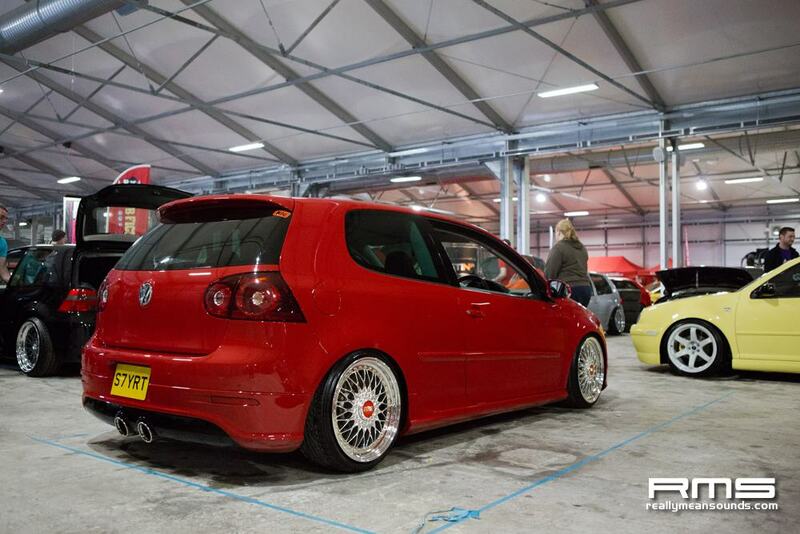 Dubshed will be held at the King’s Hall, Belfast on Saturday 28th and Sunday 29th March 2015. Entry is £10 at the door. Nice read, hats off to the ilovebass guys for another intriguing and well put together video too!! Can't wait, should be brilliant. Thanks Pete we have a load more to come and hope to attract some of the great writers that lurk on here. ILB knows how to make a video. Can't wait for it this year!